Drum corps fans came, they saw, and they conquered more than 150 theaters across the country on April 27, at the 2006 DCI Classic Countdown. Presented by Drum Corps International, the event was part of National Cinemedia's Big Screen Concert series. From rekindling old drum corps friendships, to introducing drum corps "newbies" to the scope and history of drum and bugle corps, to reliving old memories from days long gone, thousands of drum corps fanatics gathered together for the second annual Classic Countdown fete. Drum corps fans gathered at more than 150 movie theaters on April 27, for the 2006 DCI Classic Countdown. Steve Mikulay and Joel Borhart, both members of Pioneer Drum and Bugle Corps of Milwaukee, Wis. in 2005, attended the Classic Countdown showing in Lincolnshire, Ill. The two young drum corps members took pleasure in checking out the earlier corps in the broadcast from the 1970s and 1980s, as it gave them the opportunity to see the historical evolution of drum corps performances. "Of course I'd much rather be at a live event, but you can't really be there in person to see shows from 1970s when I was born in 1990. I really enjoyed seeing the old piston and rotor valve brass instruments, the gunshot starting pistol and members doing high mark time -- that's the good stuff," said Mikulay. Borhart added, "Because of this event, we get to look back and see what other corps have performed in the past. It's pretty easy to see that a lot of what we do today in drum corps was directly influenced by those older groups." The corps showcased in the 2006 Classic Countdown from the 1970s brought back many fond memories for Kim Algaier of Fort Myers, Fla. "I started marching in 1975, so it was a real hoot to relive drum corps in its (and my) infancy, through 'Two-Seven,' (27th Lancers, Revere, Mass.) and the Bridgemen (Bayonne, N.J.). I remembered every single note. I can't even remember what I had for breakfast, but my drum corps memories came flooding back to me. Thanks to fantastic productions like these, either in the theater or on DVD, every drum corps fan can hang onto their history," Algaier said. Still others last night had an experience beyond a standard historical overview of drum corps. "It's kind of a surreal experience having performed on the field just this past August and now seeing myself in the theater," said Meghan Davis, a mellophone player for the 2005 Bluecoats of Canton, Ohio, who were featured as part of the showing. "There are probably not that many recent college grads out there that can say they were making their big-screen debut in theaters across the country last night." As the evening drew to a close, votes had already been tallied, and at the end of the Classic Countdown screening corps placements were announced according to the number of fan votes received when voting concluded in February. The Rockford, Ill.-based 1989 Phantom Regiment took top honors receiving 2,386 votes followed by the 1993 Star of Indiana, formerly of Bloomington, Ind., in second (1,976 votes) and 1988 Madison Scouts of Madison, Wis. in third (1,672 votes). "The moment of the night for me came when they announced the fan vote totals and Phantom Regiment came out number one," said Mark Bertram who was a member of the 1989 Phantom Regiment team that took the silver medal at that year's DCI World Championships in Kansas City, Mo. "The lady sitting behind me, who I didn't know, said, 'Well, it took 17 years, but '89 Regiment finally finished on top!'" 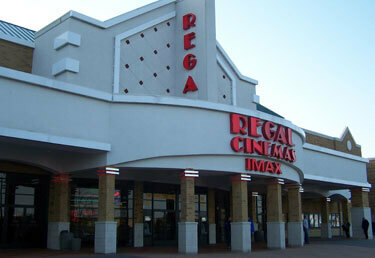 Bertram attended the event at the Regal cinema in Kennesaw, Ga. The 2006 DCI Classic Countdown marks the fourth edition of Drum Corps International cinema events since 2004. DCI's cinema events continue this summer when drum corps fans will have the opportunity to see the 2006 DCI World Championship Quarterfinals broadcast live from Madison, Wis. in theaters across the country.